All of the museum’s exhibitions are accompanied by numerous different programmes – guided tours, workshops, lectures or special events, for grown-ups, school groups, children or the whole family. The Museum for East Asian Art was opened in 1913 as the first specialist museum of its kind in Europe. 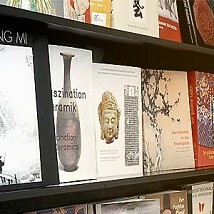 It now houses one of the most distinguished collections of art from China, Korea and Japan in Germany. At the heart of the museum’s holdings is the collection of Buddhist painting and sculpture, Japanese screen painting, coloured woodblock prints, Korean ceramics and lacquer art assembled by the museum’s founders Adolf and Frieda Fischer. 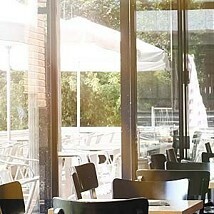 Salon & Metzgerei Schmitz im MOK – coffee and cakes, snacks and lunch menu – on sunny days on our attractive terrace. Tue to Fri: 10am – 5pm, Sat and Sun: 10am – 6pm, closed Mon.